Ever notice how people from big families eat fast? That’s because if you finish your food first, you’ll be assured of seconds. In our family we kids perfected the art of eating quickly with strawberry shortcake. If there was one food we dreamt of, fought over, couldn’t get enough of, it was strawberry shortcake. Made with biscuits. And real whipped cream. Sigh. There is no more of a perfect dessert than this. Which is why, when my mother asked me to make something for her book club meeting, and with big, juicy, sweet strawberries showing up in the markets all over town (even at a street vendor on the corner of my block), that I couldn’t wait to make these mini shortcakes. I don’t take credit for the idea, or the name for that matter. We were served mini strawberry shortcakes at an event for Ruth Reichl when she was in town recently, and my pals Garrett and Amber took one look at them and called them “sliders”. Why a slider? Because like a burger slider, you can hold them in your hand to eat. They are perfect little finger food shortcakes. Shortcake biscuits are typically very crumbly; the crumbles just absorb all of that extra juice from the strawberries. But with sliders, you don’t want them to crumble. So the solution is to add an egg to dough, to give the biscuits a little more structure, and to knead them just a few turns more than you would normally. *Make sure your baking powder is less than 6 months old or it may be flat and your biscuits will have a hard time rising. If you don't have baking powder you can combine two teaspoons cream of tartar (a dry acid) with one teaspoon baking soda (a dry base) for the same effect. 1 Whisk together flour, sugar, salt, baking powder, cut in butter: In a large bowl, vigorously whisk together the flour, sugar, salt, and baking powder for the biscuits. Cut the butter into the flour mixture with a fork or a pastry cutter, or pulse in a food processor until the largest pieces of butter are the size of peas. 2 Stir in cream, egg, vanilla, knead to make biscuit dough: Use a fork to whisk together the cream, egg, and vanilla in a small bowl. Make a well in the large bowl of the flour mixture and pour the cream mixture into the center of it. Use a fork to mix until the dough is evenly moistened. The dough mixture should look shaggy. Knead the dough with your hands 8 turns or so to create a ball. 3 Flatten dough, cut into biscuit shapes, chill: Lightly flour a smooth surface. Turn the dough out onto the surface and pat or roll out until it is between 1/4 and 1/2-inch thick. 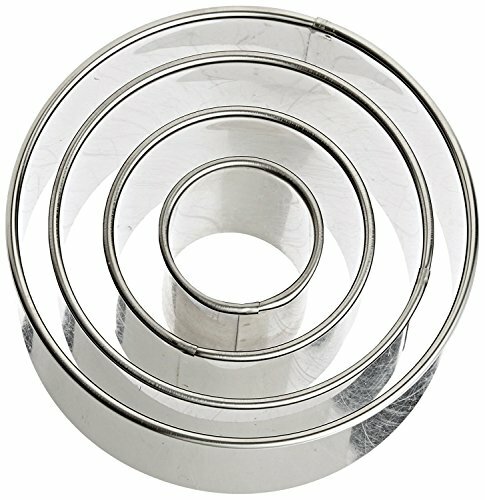 Place rounds on a baking sheet, space about 1 1/2 to 2 inches apart from each other. Chill for 10 minutes in the refrigerator before baking. 4 Bake biscuits: Heat oven to 425°F. Bake biscuits on middle rack for 12 minutes, or until risen and lightly browned. Remove from oven and let cool. 5 Macerate strawberries in sugar: While the biscuits are baking, prepare the strawberries and whipped cream. Place the sliced strawberries in a bowl and sprinkle sugar over them. Gently mix so that the sugar coats most of the strawberries. Let sit until the sugar dissolves and the strawberries release their moisture. 6 Whip cream with sugar and vanilla: To make the whipped cream, make sure you are starting with cream that is very cold. It helps to chill the bowl first too. Use a hand mixer (you can make whipped cream in a blender, but watch out; it's easy to over-whip the cream in a blender) to whip the cream until it just begins to firm up. Sprinkle the sugar and vanilla over the cream. Continue to whip until it is thick and holds its shape. Cover with plastic wrap and keep chilled until it's time to assemble the mini strawberry shortcakes. 7 Assemble strawberry shortcake sliders: When the biscuits have cooled to room temperature, gently break them apart, separating the tops from the bottoms. Place a strawberry slice or two on each bottom, and place a dollop of whipped cream on top of the strawberries. Then place the top biscuit piece on top of the whipped cream. Voilá! You have your slider. Alternatively, you can serve them without the top. Hello! All photos and content are copyright protected. Please do not use our photos without prior written permission. If you wish to republish this recipe, please rewrite the recipe in your own unique words and link back to Strawberry Shortcake Sliders on Simply Recipes. Thank you! I make a little different biscuit recipe and the secret is to bake them touching each other so they rise up instead of out — I put mine in a pieplate. Secondly, the temp is correct to create a quick rise. Do not twist the dough cutter but just push down. Twisting closing the dough and it doesn’t rise as high. Hope you don’t mind the comments. Can I make the buiscut dough a day ahead, refrigerate and bake the morning I need them? Hi April, the biscuit dough relies to some degree on baking powder for its rise. If you make it a day ahead, the leavening will activate in the dough before you have a chance to bake it, and your shortcakes will not get as much of a rise. I tried these this morning and it was flavorful to taste, but my biscuits didn’t rise very much..only a little. Can you ever use too much baking powder? I measured mine according to the directions. Also is there a way to freeze and bake later? If so, at what temperature should frozen biscuits be cooked? Could be your baking powder is too old. Baking powder is essentially a dry acid combined with a dry base, and eventually over time the molecules will find each other and combine. If this happens while you are baking, great, because the result is the air pockets that are the leavening you need. If this happens in the can because it’s been sitting around too long, your baking powder isn’t strong and you end up with flat biscuits. As for freezing and baking, I haven’t done that with this recipe so don’t know what to tell you. I made these yesterday and the biscuits burned at the bottom..has anyone had a problem at 425? I made these for a holiday party and instead of cutting them in rounds, I used holiday-shaped cookie cutters. The stars worked the best – they looked great and tasted wonderful. These are so cute! When I first glanced at the photo I thought the cream was pink, so I might try to achieve that with a touch of jam or food coloring. I have to make the biscuits the day before though to save time – what’s the best way to store them? I don’t want them to get too mushy in a Tupperware but I don’t want them to get stale, either. Any suggestions? And what’s the best way to store any leftovers? These were a HUGE hit at a party today! Thanks for the great idea! I doctored the strawberries up a bit with some fresh mint and blackberry brandy and I had to use my heart and star shaped cookie cutters to go the extra mile in cuteness. Awesome recipe. Great idea! One of the best things about having a spring birthday is getting to have strawberry shortcake for my birthday cake every year. Just one question – how big are your strawberry baskets? Quart? Pint? Something else? Love this recipe! I make a similar dish that my family LOVES. I put a little lemon zest in with the strawberries. It gives it a great freshness. I also brush the tops of my shortcakes with a little butter and sprinkle with granulated sugar. When cooking scones/sliders/biscuits/shortcakes, if you pace them close together, you will get soft sides. This also prevents lopsided ones. These will work with all sort of fruits, Kiwi’s, peaches, and all types of berries. How pretty it would look with different fruits on them on a party platter. These look wonderful, but say, for instance I had to make something quick, what biscuits, from the refrigerated section at the grocery store would you recommend for this? I’m thinking that the ‘butter’ ones wouldn’t be quite right here. My boyfriend and I will be hosting his parents and grandparents and some other family members for dinner on Friday night…these will be perfect! However, I’m traveling throughout the week so it will be difficult for me to make my own dough and get everything together. Can I improvise with a store bought dough? If so, what kind would you suggest? A foodie in the checkout line who saw my strawberries and heavy cream told me the best sugar for whipped cream was powdered sugar. I’ve used it ever since, with great success.